We’ve teamed up with J Skis again for another awesome giveaway. 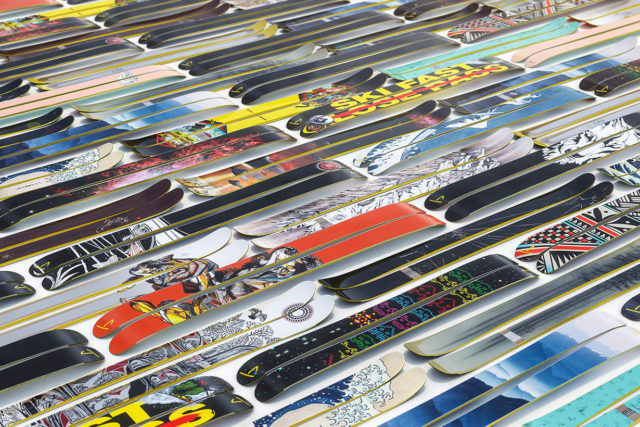 The winner of this week’s Gear Giveaway will get to pick any pair of skis that are currently in stock at J Skis. Yep, any ski. Whether you’re looking at the Whipit for throwing tricks in the terrain park; need a playful all-mountain ski like the Allplay or Vacation; want a damp, metal-laminate ski like the Metal or Masterblaster (a “Best Of” winner); or are looking for a playful-yet-stable pow ski like the Friend, there is an option for everyone. So enter before Friday, February 15th for your chance to win. By entering, you’ll also receive our weekly Blister newsletter, where we’ll (a) announce each week the winner of our previous Gear Giveaway, (b) provide a roundup of the news and our highest-profile reviews of the past seven days, and (c) offer sneak peeks of the products we’re currently reviewing. It’s good times for sure, so don’t miss out. You’ll also be kept up to date on all the latest from J Skis. Good luck! Love the artwork on your skis, hope to have a pair for myself ! The saaaaaameeeee!!! Greatest looking skis out there from J!!!! I LOVE those Lone Pine skis…they looked sick! J Skis are distinctive…I would be proud to have a pair! Would be a dream come true!!!! !